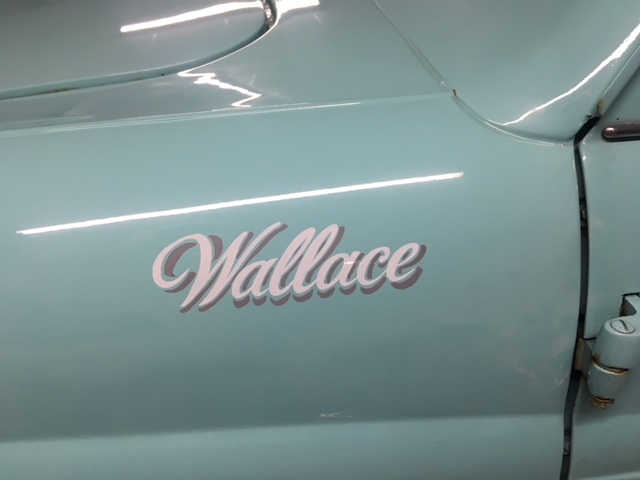 Today Wallace got pampered by Darren from "Darren Williams Signwriting"
Darren attended Wallace in his current temporary home where he is being stored with lots of friends. The team at Morse Classics were fab and created space for the new make over. We were delighted with the results and can't wait to get him onto the Isles in the New Year. 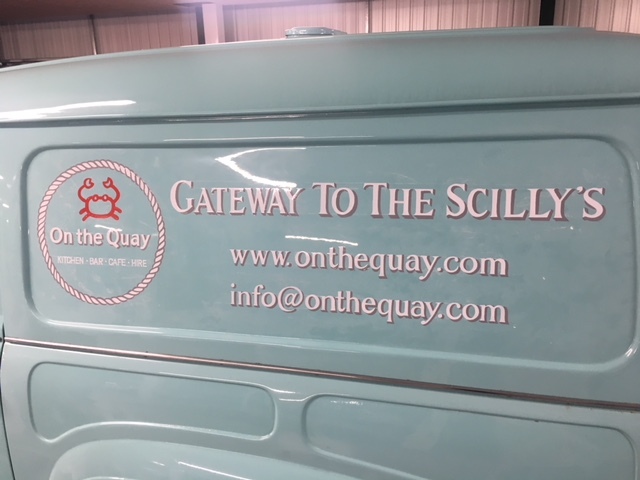 Sign writing like this is Hand painted and is a dying skill! We’ve all been over for a look and think Darren has done a fab job.